In case you are the owner of a warehouse or business, you need to provide a receipt of money to your clients on every sell. Well, it is quite unprofessional and cheap to use scrap paper for the purpose. 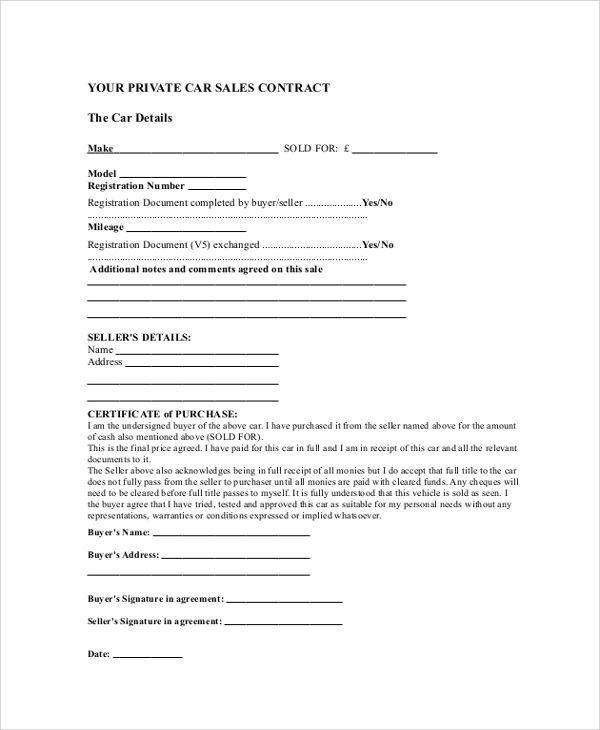 You need to use a customized Sales Receipt for the purpose, and this will promote your reputation as well as professionalism. 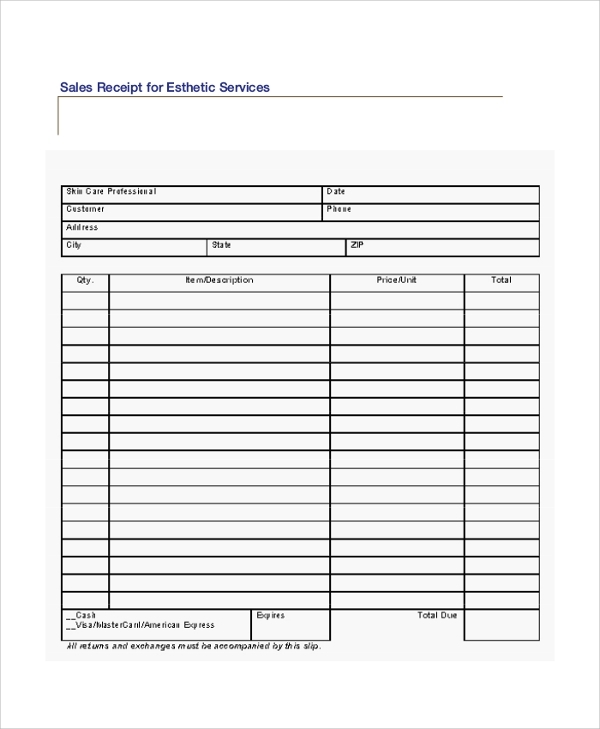 There are various types of sales receipts used in the market, and these are open to customization. Here are some commonly used Free Receipt Samples. These receipts are commonly used by people dealing with vehicles, manufactured homes, trailers and other related aspects. The receipts contain the personal contact of the owner of the business and tax details that are paid. 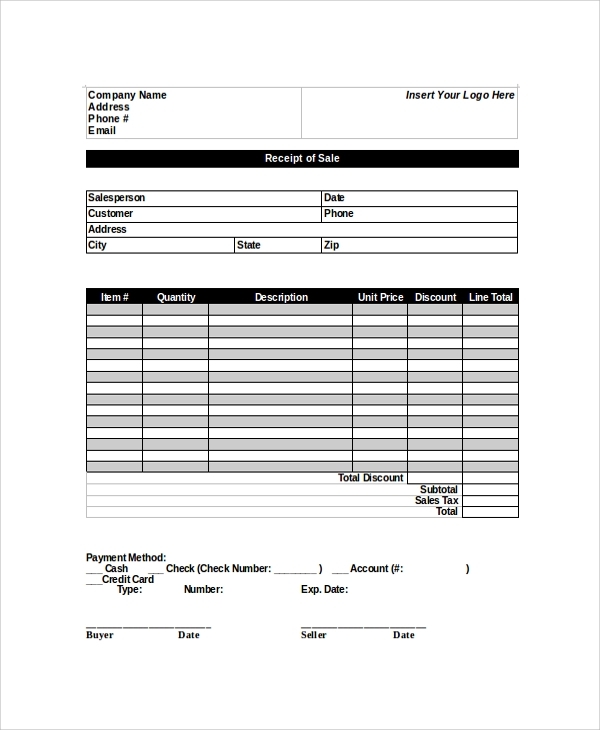 This receipt contains the name of the seller and other details related to the business. 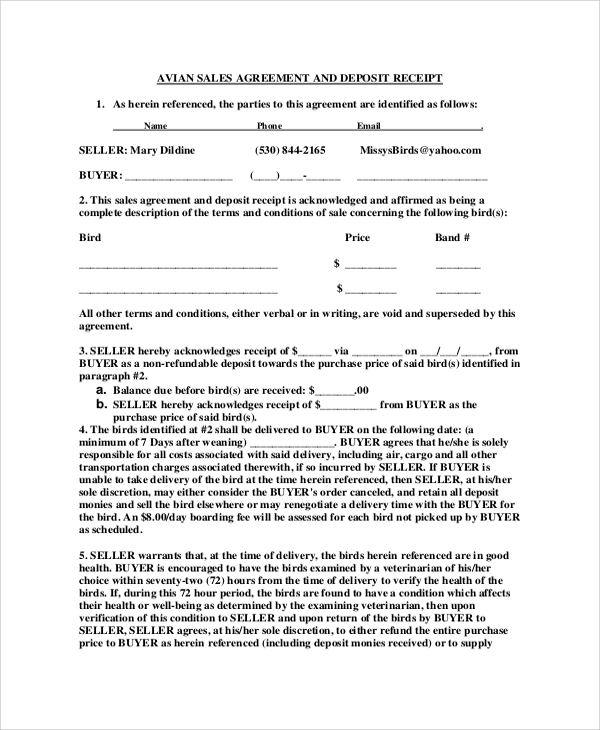 The clauses of agreement related to the transactions are clearly mentioned here. The billing amount is positioned at the top. These receipts are commonly used in service-related industries rather than products. There are four columns for the description of services, units, price and so on. The personal details of the client are presented at the top. 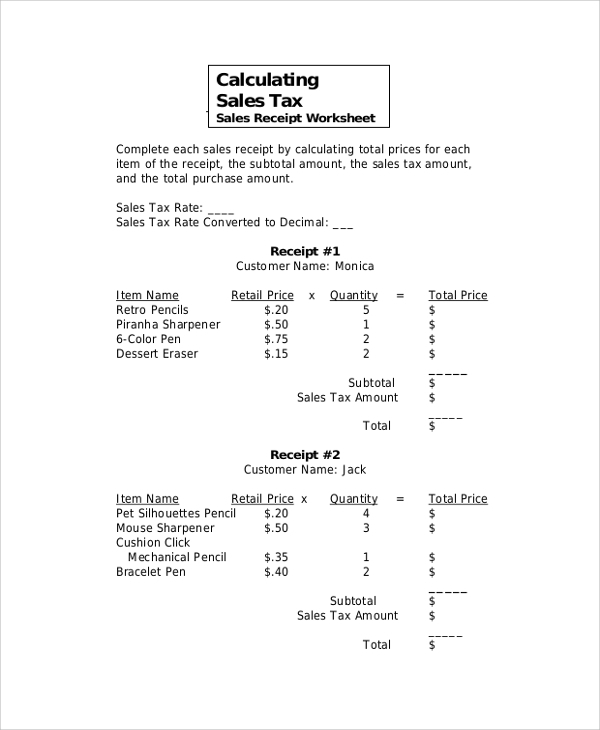 Why are the Sales Receipts Important for Your Business? At the outset, you need to create an identity of your business house. 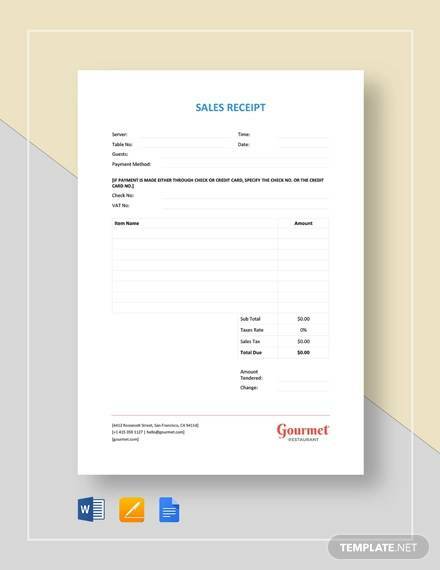 A Sample Sales Receipt with the name of the company embedded at the masthead delivers a professional look to the document. Apart from this, sales receipts are necessary when you deal with income tax and other taxation details. It keeps a track record of all the items sold and the entire volume of cash inflow into the company. It helps to keep track of every transaction that takes place in the business house. From the perspective of the clients, a sales receipt is the mark of responsibility and professionalism on the part of the company. 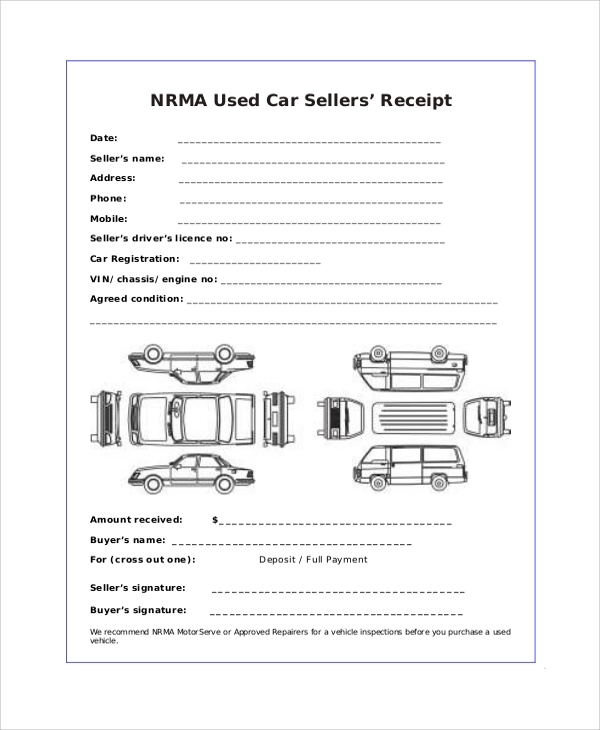 Car Sales Receipts are tailored for professional use. The registration number, mileage, model and other details of the car are presented in the receipt. Apart from these, certain clauses related to the transaction are also there. Sometimes transactions are canceled, or products are returned to the company for certain causes. 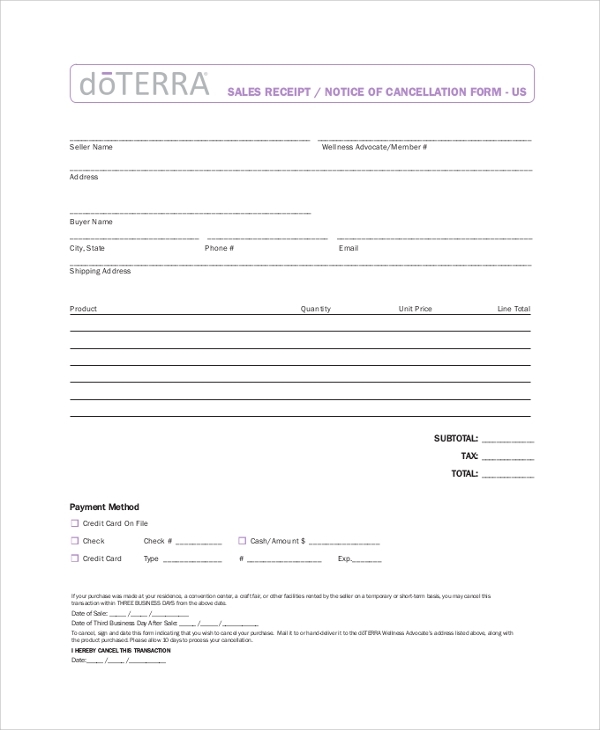 For this purpose, business owners require Sales Receipt cancellation forms. These are tailored to accommodate the details related to the cancellation of sales. 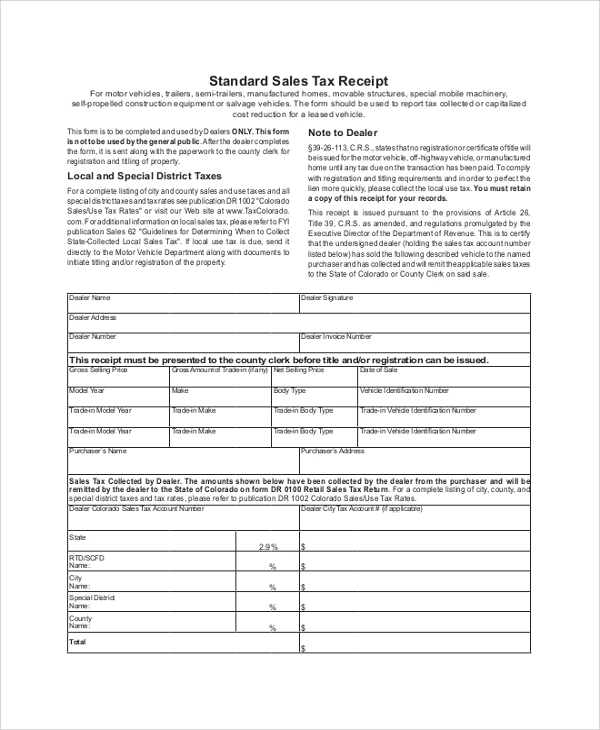 What Information Should be Included in a Sales Receipt? In a commonly used sales receipt, information related to the sale of every product of a company should be included. 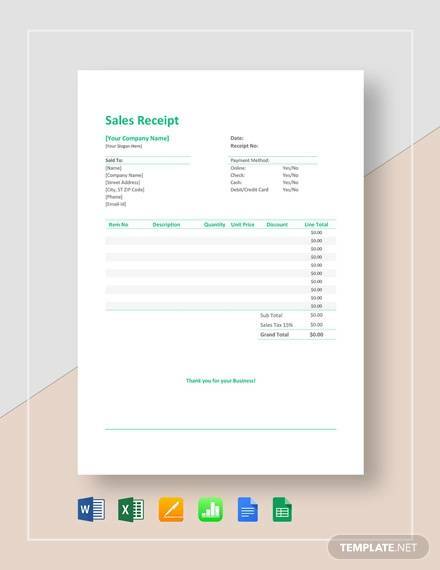 A typical sales receipt has three main parts. The first part is the information about the enterprise that is printed in every template. It contains the name of the company, address, and business information. The second part is editable, and it contains the personal details of the clients. The third part is the main part, which includes the transaction details, the number of articles sold and relevant information. The area where the prices, totals and product descriptions are included is personalized as per the requirement of every business house. You may also see the Receipt Samples. It is essential to tailor the receipts, as each of them deals with a specific purpose. There are tax receipts, payment receipts and other variations of the document. You can get all necessary Cash Receipts in the website and use them as and when you need. These are essential for running a business seamlessly.